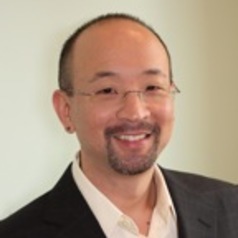 Kevin K. Kumashiro, Ph.D., is currently the dean of the School of Education at the University of San Francisco. (View the Chronicle of Higher Education's profile here.) He is a leading expert on educational policy, school reform, teacher preparation, and educational equity and social justice, with a wide-ranging list of accomplishments nationally and internationally as a scholar, educator, leader, and advocate. He has taught in schools and colleges across the United States and abroad, and has served as a consultant for school districts, organizations, and state and federal agencies. Dr. Kumashiro came to the University of San Francisco from the University of Illinois at Chicago (UIC), where he served as professor and coordinator of Asian American Studies, Chair of the Department of Educational Policy Studies, and Interim Co-Director of the Institute for Research on Race and Public Policy. He was also the primary investigator and project director of the UIC AANAPISI Initiative, which was funded by over $4 million from the U.S. Department of Education grants to support the recruitment, retention, and academic success of Asian American, Pacific Islander, and English-language learner students in higher education.